Truculent beefcake Morrissey has explained why his Years Of Refusal long-player has been delayed from this autumn until 2009. Writing on the True To You online Moz shrine, a statement has a huff and a puff about the various record labels involved. It reads: "At the wish of Universal Music, Years of refusal has been put back to a February 2nd release. There is also, at this stage, still no US label for the album since Morrissey withdrew from Decca US after their poor promotion for the Greatest Hits release. There are no further live dates planned for the remainder of 2008." The communique also adds that Morrissey is unhappy with the projected forthcoming Smiths Best Of: "It is understood that Warner Music in London are releasing a Smiths Greatest Hits album in the final quarter of 2008," it reads. 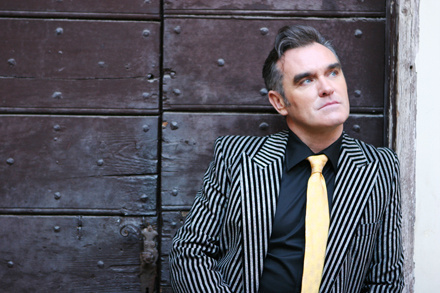 "This release is without Morrissey's approval or involvement."